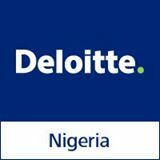 Deloitte is the largest private professional services network in the world. Our reputation for providing high quality services with integrity has earned us the trust of our clients and our people. If you're ready for a career with a dynamic organisation in an environment that fosters professional development and career advancement, you're ready for Deloitte. With 210,000 people in over 150 countries, Deloitte member firms serve more than 80 percent of the world's largest companies as well as large national enterprises, public institutions and successful fast-growing companies. Deloitte offers a world of opportunities for individuals with unquenchable thirst for knowledge, passion for success and impeccable integrity. We are looking for top flight candidates who are set to start enviable career as 'ASSOCIATES' in the Tax function.